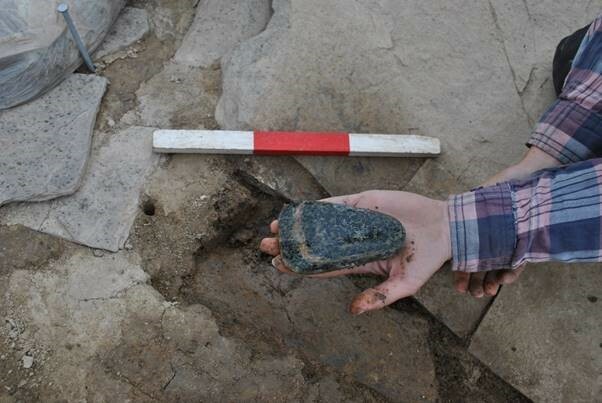 The Second stone axe fully excavated. The Ness of Brodgar is one of the largest and most important Neolithic excavations in Northern Europe. 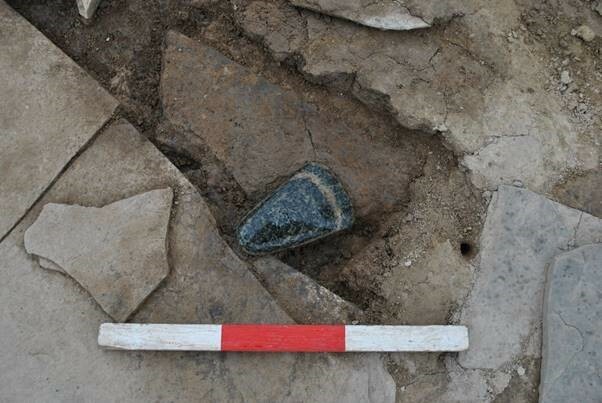 The dig is continuing to reveal an increasingly large complex of monumental Neolithic structures together with ‘artwork’, over 30,000 pieces of pottery, large assemblages of bones and stone tools – including over 30 unique stone axes. The Ness of Brodgar is an archaeological excavation covering an area of 2.5 hectares in the Heart of Neolithic Orkney World Heritage Site, in Scotland. It has revealed a well-preserved and sophisticated complex of monumental stone buildings, enclosed by walls up to six metres thick. Built and occupied by people over 5,000 years ago, the Ness has produced decorated and painted stonework unlike any other site in the UK. Its architecture is unique and it has given us evidence for stone-tiled roofing as never previously seen. 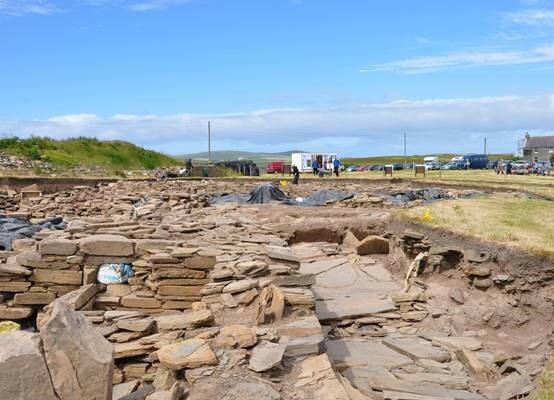 The site is run through the Ness of Brodgar Trust and the Archaeology Institute of the UHI. Hidden Guildhall: what will you discover about York’s past?